Alexander Weygers, a Renaissance man in the mold of the tech industry’s stated ideal, inspired an art dealer to become an acolyte. 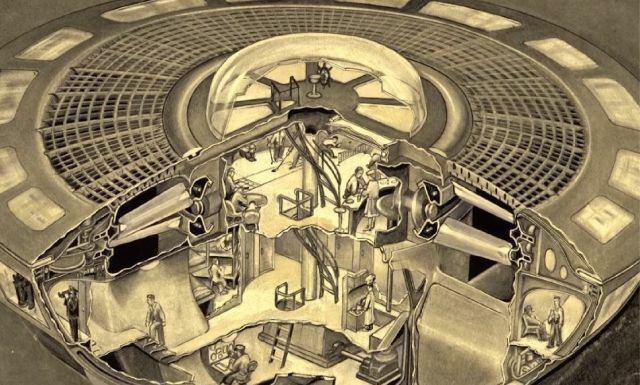 Alexander Weygers made numerous detailed drawings of an aircraft called the "Discopter", a vertical liftoff aircraft that looked very much like what was to be later termed "flying saucer" and other drawings of an American cities specifically flying saucers in San Francisco and as well as a port in Chicago. He sent these detailed plans to all the branches of the U.S. Military and was eventually told that they were intrigued by the concept and the design of the craft but were not prepared at that time because the war effort superseded its development. However he did indeed patent the design for the "Discopter" in January 1944 with the U.S. Patent Office and it served as the prototype for other similar aircraft that have been developed up to the present day. Ashlee Vance visits the dealer whose curiosity about Weygers has evolved into an obsession.